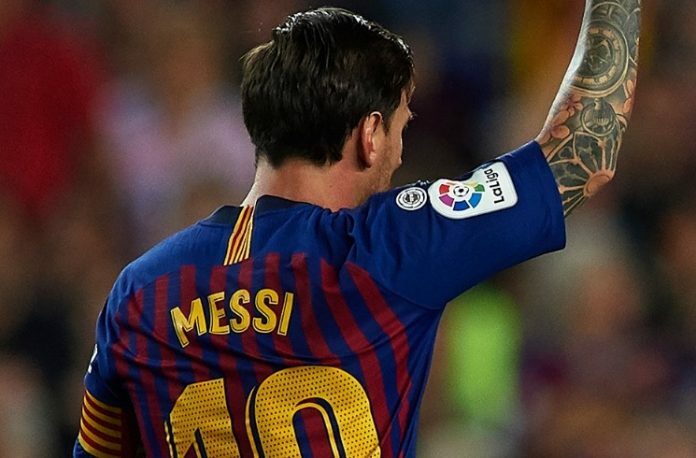 Lionel MESSI, Gonzalo HIGUAIN, Angel DI MARIA, Rodrigo DE PAUL, Alejandro GOMEZ and Emiliano RIGONI all scored for their clubs on the weekend. 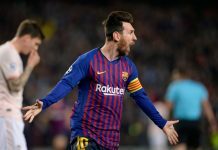 Beginning in Spain, Lionel MESSI scored his fifth goal in La Liga this season in Barcelona’s 2-2 draw against Girona. MESSI also managed to hit the crossbar on a free kick. From Spain to Italy, AC Milan drew Atalanta 2-2 in a match which saw three goals scored by Argentina National Team players. Gonzalo HIGUAIN opened the scoring with a lovely finish just two minutes into the match to give AC Milan the 1-0 lead. Alejandro GOMEZ drew Atalanta level with an effort from close range. After having taken the lead for the second time in the match, Emiliano RIGONI scored in injury time to give Atalanta the point. Still in Italy, Rodrigo DE PAUL scored in one of the better goals you’ll see this weekend in Udinese’s 2-0 win against Chievo. DE PAUL received the ball from well outside of the penalty area and struck it from distance to scored the first goal of the match. One player scored in France as Angel DI MARIA managed a lovely goal from outside of the penalty area in PSG’s 3-1 win against Rennes. A year ago Icardi and Dybala were leading the European top scorer charts. This year it is completely different as both have yet to score a serie A goal. Luckily many other Argentina players are banging in the goals.